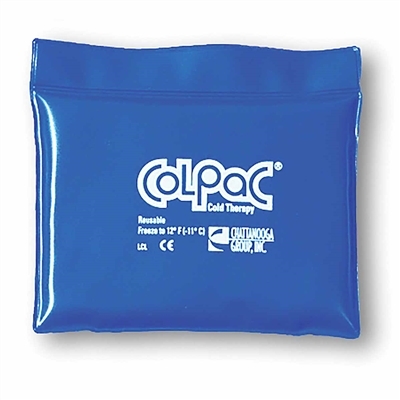 The ColPac Quarter Size 5.5" x 7.5" - Latex Free delivers up to 30 minutes of soothing relief from acute pain, swelling and fever. Heavy duty design for institutional use. Seven different sizes of blue vinyl and four sizes of black polyurethane ensure effective cold therapy for any body area or shape. Whitehall Glacier Cold Pack - Cervical Size 23" LF-4 Little Freeze Chilling Unit ColPac Oversize 12.5" x 18.5" - Black Polyurethane Whitehall Glacier Cold Pack - Half Size 5" x 12"